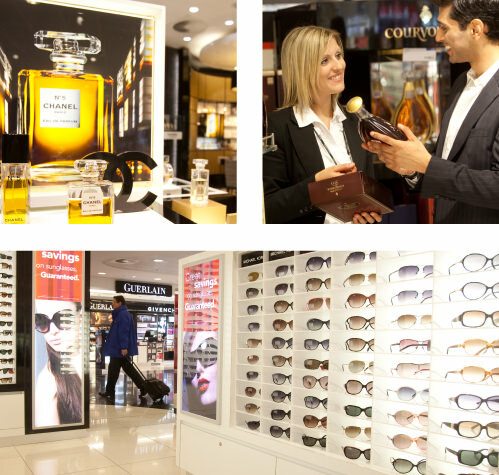 Thanks to an amazing group of talented team members, World Duty Free (WDF) is the market leader in UK airport retail. As part of Dufry, we have over 2,200 shops in 63 countries employing 31,000 staff servicing the shopping needs of 100s of millions of passengers. Because the customer traffic in our UK airport stores fluctuates at Holiday time, we employ hundreds of "Seasonals" every year to support our permanent staff. Our seasonals are a very important part of our team and are recruited in the same way as our permanent retail employees. In fact, many seasonals have been offered permanent roles with us because they are doing such a good job over the summer! The seasonal peak differs from airport to airport but in general we need additional staff between May and October every year. The hours are flexible; in some airports we need people full time and in other airports for specific shifts at certain times. You must be passionate about providing exceptional customer service and have the energy, drive and enthusiasm to work with the UK's largest airport retailer. Our most typical role is as a Customer Service Assistant. You will need to develop a good knowledge of all our range of products in exciting departments including Beauty, Jewellery, Handbags, Watches, Sunglasses, Liquor and Confectionary. There is something for everyone and a good Customer Service Assistant can build an instant rapport with customers whether it is recommending the perfect pair of Sunglasses for that last minute beach break or suggesting the ideal fragrance for that special someone.